Are you interested in having more control over the energy you use? Would you like to be less dependent upon traditional electricity generators, distributors or retailers? Energy Matters can help you. There are several steps along the path toward full energy independence. The simplest and most effective way to gain some energy independence is to install solar PV. You will generate your own power and export the excess to the grid; for which you will receive a credit. Apart from simple maintenance every three years, there is nothing to check or worry about – simply enjoy your reduced power bills. While some appliances (e.g. lights) have to be run at night, other appliances (e.g. dishwasher, clothes washer) can be started at a time of your choosing. If you wait until the sun is shining, your machine will be able to run through the whole cycle using only solar power. Even in less than optimum conditions and assuming not a fully overcast day, a large solar panel system should still generate enough power. Instead of feeding your excess solar energy to to the grid, you can use it inside the house. This is particularly attractive if you are only earning a lower feed in tariff (e.g. 8 c/kW·h) for your excess solar power, but costing you the high retail rate (e.g. 26 c/kW·h) for electricity used at night. If you want to be sure that you are generating enough excess solar power to run your appliances, you can install a low cost power meter; or an in-home display that links to your smart meter. These devices can show you how much power is being exported to the grid. Some brands of inverter (e.g. Fronius) can be fitted with an relay output that informs you when you are generating excess solar power. The cheapest watt is the one you don’t use. Energy efficiency doesn’t mean returning to the dark ages – it’s just a case of using energy in smarter ways (such as mentioned in the previous point). An energy efficient household is one that doesn’t need as large a solar power or energy storage system. There are many ways you can reduce your energy consumption – and quite a few won’t cost you anything at all to implement. Most solar energy is generated during the day but most households consume the bulk of their energy after work and at night during week days. You can solve this mismatch by using a small battery bank to “time-shift” your solar. A home energy storage system means more of the solar electricity you generate stays in your home and less is exported to the grid. It also means you can avoid purchasing electricity from the grid during peak times, e.g. 4 pm to 10 pm. 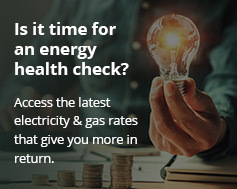 This is especially attractive if you are on a time-of-use tariff, where the price of electricity varies during the day. A small battery bank can be fully charged each day and depleted each night. For every unit of solar energy you can store in the battery for use in the evening, you save the difference in cost between the feed in tariff (e.g. 8 c/kW·h) and the retail tariff (e.g. 26 c/kW·h). To really maximise your energy independence, self-sufficiency and the amount of solar energy used in your own home, you need a larger battery system. The battery doesn’t have to be as large or as expensive as a true “off grid” system because you can use the grid as a top up during the winter months or during extended periods of bad weather. This means that the battery can be sized to last only 1-2 full days, instead of the 3-4 full days that off-grid systems are designed for. Even if a full battery system is out of your reach for now; the technology is evolving rapidly and as has been demonstrated with solar panels; prices should reduce substantially. Until that time comes – take the first step by installing solar power. Interested in an obligation-free quote? For a solar power systems only, use our quick quoting system or contact our team. For solar with battery backup, call our friendly experts on 133-SUN.